The Magnify Mini delivers the big, room-filling home theater experience you'd expect from a full-size sound bar in an ultra-compact design. 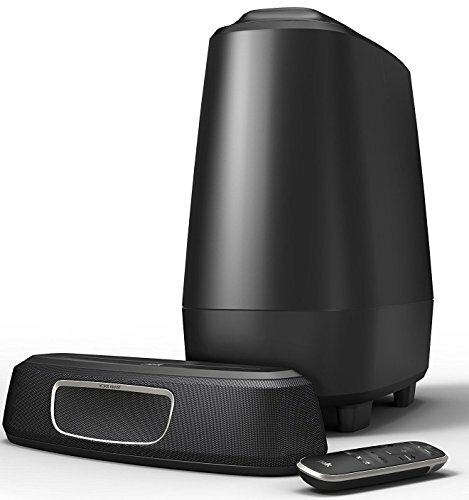 Compatible with most TVs, it's easy to set up and Features Polk's voice adjust and surround sound technologies, ensuring crystal clear dialogue and immersive surround sound-plus an included wireless subwoofer for Deep bass impact you can feel. Stream your favorite music through Bluetooth and google cast.